MARY ELIZABETH GRAVITT SWAFFORD, age 92 of Athens, Tenn. passed away Sunday, August 19, 2018, at her residence. 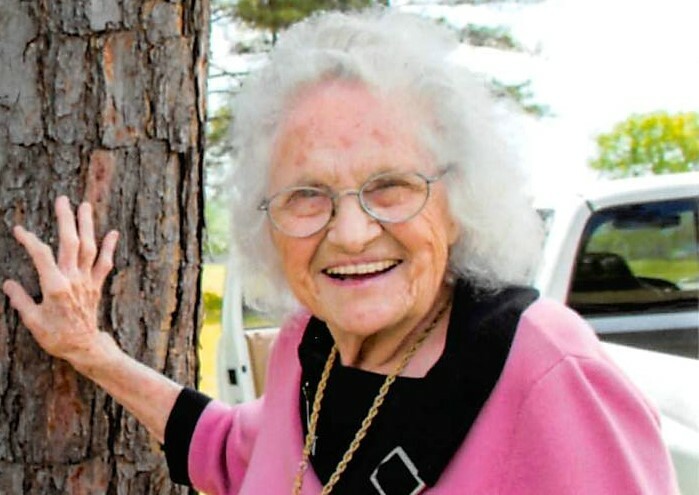 She was a native and lifelong resident of McMinn County, Tenn., a daughter of the late Ollie and Mamie Kimbrough Gravitt. She was a former employee of Bowater Paper Co. working in the cafeteria. She was a former member of Oak Grove Baptist Church and was a member of Idlewild Baptist Church. Three sisters: Marie Pelfrey, Thelma Ware and Mildred Cox. Son and daughter-in-law, Allen and Marquita Swafford of Athens, Tenn.
Funeral services will be 7:00 P.M. Thursday, August 23, 2018 in the Chapel of Laycock-Hobbs Funeral Home with Rev. Scott Packett officiating. Interment will be 11:00 A.M. Friday, August 24, 2018 in Oak Grove Cemetery. Active pallbearers will be Ronnie Gravitt, Donnie Gravitt, Brodie Wallace, Codie Wallace, Auston Byrd, and Dusty Vaughn. Honorary pallbearers will be Rudy Swafford, Claude Swafford, Larry Ware, Billy Cox, Gary Swafford, and Darrell Swafford. The family will receive friends from 4-7 P.M. Thursday, August 23, 2018 in the funeral home. Memorial contributions may be made to Oak Grove Baptist Church Cemetery Fund, 1212 County Rd. 100, Riceville, Tn. or Idlewild Baptist Church Building Fund 118 County Rd. 104, Athens, Tenn. 37303. Those wishing to send condolences may do so at www.laycockhobbs.com/notices/Mary-Swafford.